Angela Schonberg (Travelfish) once described the weather in Ho Chi Minh City: “It comes in two flavours: dry and wet. The wet season sounds like a downer, and brings with it high humidity and daily downpours. But precisely because of the rainy season’s bad reputation, this time of the year can be a great and affordable time to visit if you don’t mind dodging a few raindrops”. As an expat living in Vietnam for three years, to be honest I really enjoy the monsoon season from May to October. The temperature cools down to 25 — 26°C and I usually find myself having better lunch nap than overnight sleep. The sound of rain is one of the most relaxing sounds in existence. This sound alone eases away stress and makes everything outside look more calm and quiet. In other countries you might have to install an app or go to website like http://www.rainymood.com/, here in Vietnam you get it naturally for free. 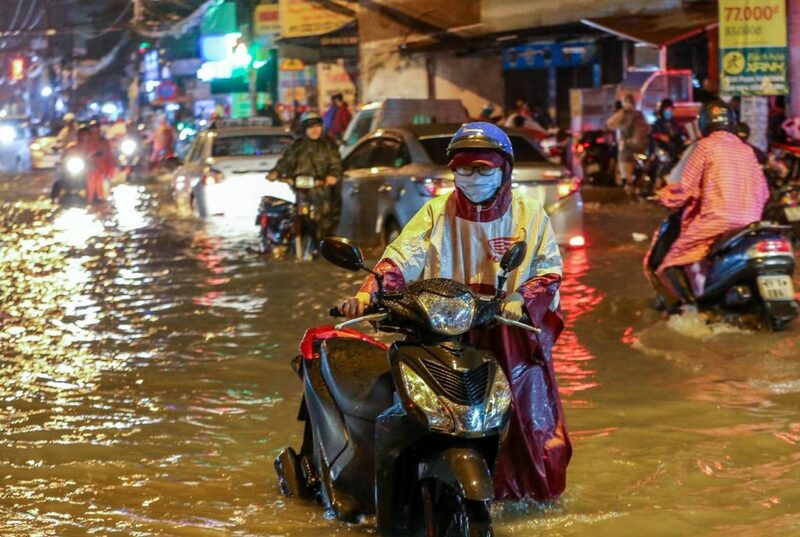 But none of the problems mentioned above irritates Saigon residents like the the one I’m going to mention: Street Flooding. 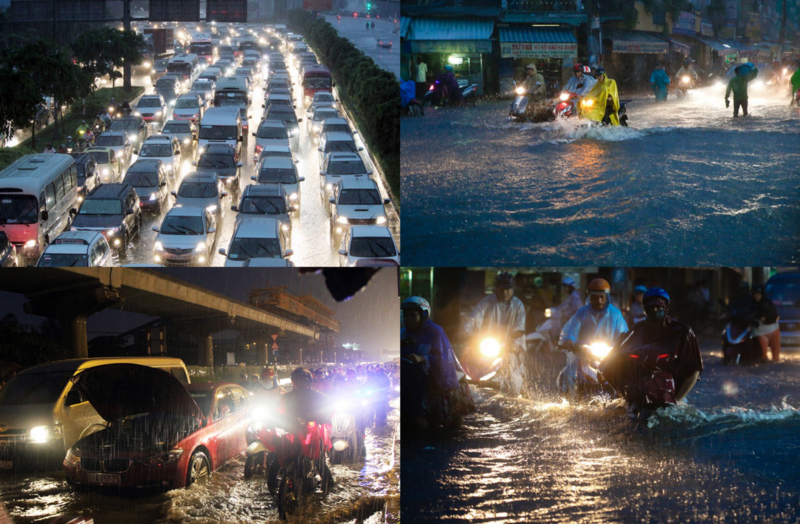 The city’s poor flood-prevention infrastructure leads to massive flooding after every heavy downpour. Streets and roads turned into rivers. Severe traffic congestion and broken-down motorbikes are the common chaotic scenes. Here are some tips I’ve got from friends and they turn out to be so useful that I decide to share it massively with the expat community. Take advantage of a full-face helmet because it will keep the rain drops from smacking against your face while cruising. Wear bright colours raincoat to make sure you are seen at all cost. Decreased visibility in the rain is one of the main reasons for accidents. Give yourself more space between you and the vehicle in front of you. Braking distances are much longer in the rain. Observe people who ride in front of you to avoid committing the same road mistakes. 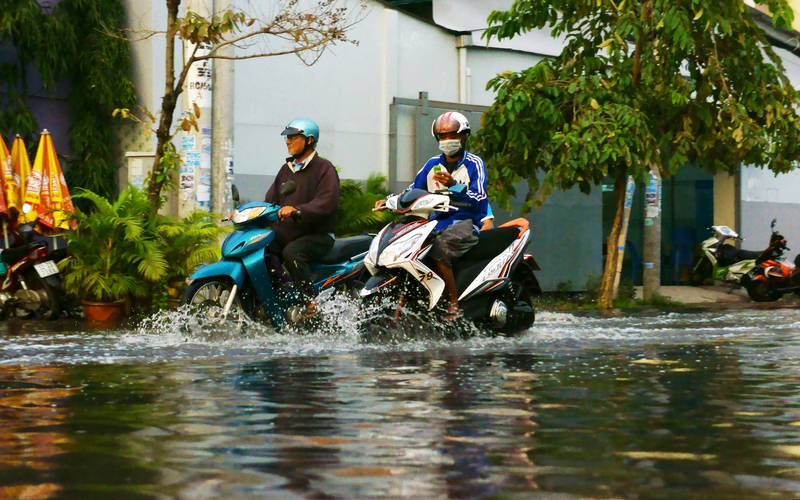 If possible, ride in the middle of the streets as the water level there is much lower compared to the area near pavements. Do not ride with high speed into flooding streets as it would create water wave which is dangerous for other people. Besides, it increases the possibility that water gets in the engine. Develop a habit of checking weather forecast on your phone or computer before setting an appointment. Do not travel between 4 — 8PM as traffic congestions mostly happen during this time. Arrive earlier or get back home later would save you out of many troubles. Have a map of city areas/ streets that are more prone to flooding. 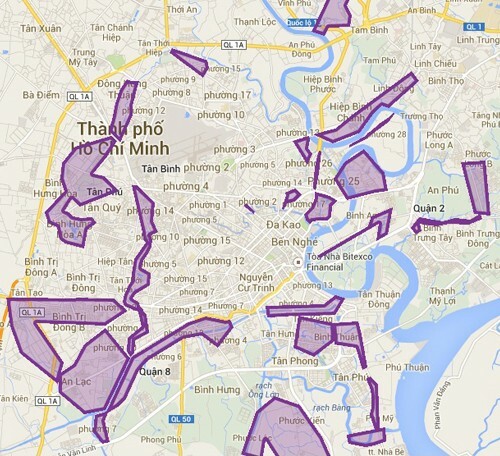 This map can also serve your best interests when searching for long-term accommodation in Saigon. If you have any other tips, leave a comment in the below section and I would update the post right away!